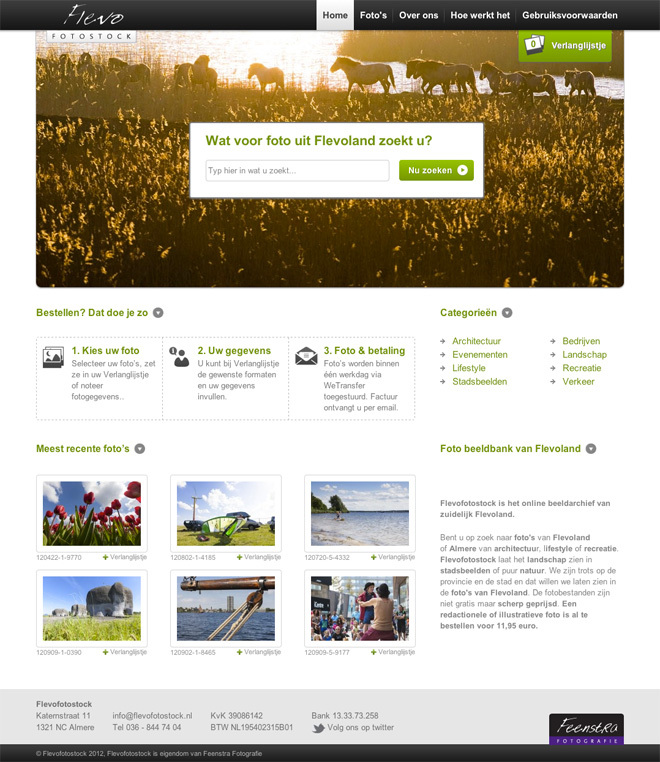 Flevofotostock.nl is a website created for collecting and ordering photos and videos of the Flevoland province in The Netherlands. There are different categories of photos and videos from which the customer can choose and order. All orders are handeled into an e-store module created in Drupal. Are you curious to see how it works? Have a look over here.